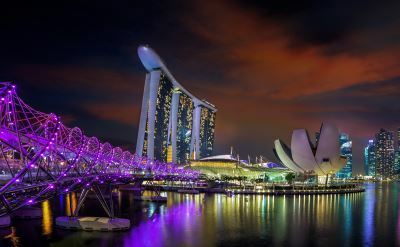 Cruises from Singapore to Australia are rare but available. Plan ahead to make this journey to Australia. They are all one-way cruises from Singapore to Sydney. See the full list below. 14-night cruise to Australia on Royal Caribbean Cruises. One-way from Singapore to Sydney (Australia). Visit Darwin (Australia), Cairns (Australia), Airlie Beach (Australia) and Brisbane (Australia). • 2019 departure: November 16. 15-night cruise to Australia on Carnival Cruises. One-way from Singapore to Sydney (Australia). Visit Bali, Komodo, Darwin, Airlie Beach and Moreton Island. • 2019 departure: November 25. 18-night cruise to Australia on Regent Seven Seas. One-way from Singapore to Sydney (Australia). Visit Jakarta (Indonesia), Java (Indonesia), Bali (Indonesia), Komodo (Indonesia), Darwin (Australia), Cooktown (Australia), Cairns (Australia), Airlie Beach (Australia) and Brisbane (Australia). • 2019 departure: December 20. 14-night cruise to Australia on Celebrity Cruises. One-way from Singapore to Sydney (Australia). Visit Darwin (Australia), Cairns (Australia), Airlie Beach (Australia) and Newcastle (Australia). • 2020 departure: November 24. 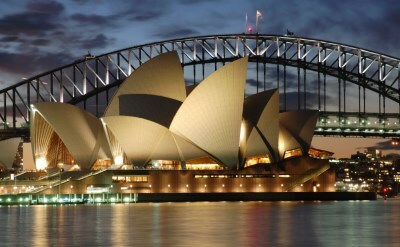 11-night cruise to Australia on Azamara. One-way from Singapore to Perth (Australia). Visit Semarang (Indonesia), Bali (Indonesia) and Geraldton (Australia). • 2020 departure: December 10.